Your new home, is walking distance to Woodland Park with its tennis courts, baseball diamonds, soccer fields, skate park, rose garden, miles of trails and world famous zoo. Green Lake Park, one of Seattle’s treasures, lies a short 15 minute walk away from your home. Located in the Woodland Park neighborhood, east of Phinney Ridge, these new homes have views of Mount Rainier and the Seattle Skyline from each unit’s roof deck. 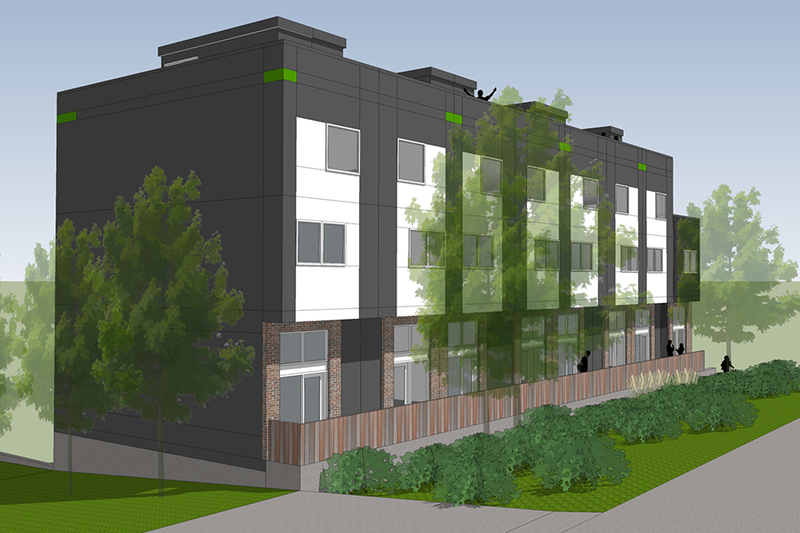 Woodlake live/work townhomes provide comfortable urban living, with no homeowner or condominium dues. Rising five levels from the ground floor, one enters into a light filled foyer on the first floor. Just off the foyer is an office with large windows, a bathroom and stairs leading both up and down. Below is the laundry room, storage and a flex room with a glass garage door opening onto a covered patio and garden. The flex space can be used as a garage, storage or a family or guest bedroom. One level above the entry on the second floor is a great room with living, dining and island kitchen all open to each other with broad expanses of windows facing east and west. The third floor has two light filled bedrooms and a bathroom. Seven of the homes have a roof deck, a perfect place relax, soak in the sun and take in dramatic views. 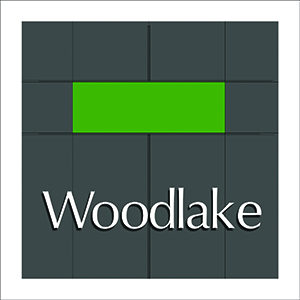 Woodlake is sustainably designed and built. Including high efficiency water heaters, plumbing fixtures, and insulation, Woodlake all electric townhomes are more cost effective to own and will cost less to maintain. Beautiful sustainable hardwood floors, whole house ventilation, and low VOC paint and finishes will promote safer, healthier indoor-air quality and help you leave a smaller environmental footprint while helping to protect the Pacific Northwest’s precious resources. Your new home, is walking distance to Woodland Park with its tennis courts, baseball diamonds, soccer fields, skate park, rose garden, miles of trails and world famous zoo. Green Lake Park, one of Seattle’s treasures, lies a short 15 minute walk away from your home. Nearby, you will discover places of worship, schools, a veterinary hospital and pet sitting service, a piano teacher, restaurants, bars, coffee shops, fitness center, dentist and the Wallingford Public Library. King County Metro bus service passes by every few minutes headed in all four directions.